An updated version of the old cart technology is hitting vendor sites lately in the form of SmartCarts. “Smart” is perhaps a little presumtuous as a title for these carts, but they are an improvement. Smart should describe something that connects to Facebook, orders more RY4 when I need it or slips into a parking space sideways. All these cartridges do is hold almost a milliter of juice, allow you to see how much is left and pretty efficiently feed an atomizer. Actually, that type of intelligent design is long overdue. Cartridges are perhaps the simplest piece of the electronic cigarette design, yet from the beginning people have sought ways to improve them. Various filler materials have been tried, as well as adding juice capacity by confining the filling to the top portion of the cart. The standard cartridges simply never held quite enough juice and either did not deliver it effectively to the atomizer or leaked it out. A large number of vapers simply gave up, chucked the cart and dripped directly on the atomizer instead. The inconvenience of dripping has kept the need for an efficient cartridge alive however, and SmartCarts are the newest option to hit the market. I recently picked up some SmartCarts 2.0 from GotVapes and gave them a try. 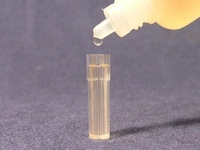 SmartCarts consist of a clear reservoir that holds up to .9ml of juice. 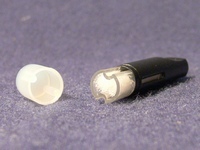 The reservoir then slips into a black mouthpiece with slots in it that enable a visual check of juice level. 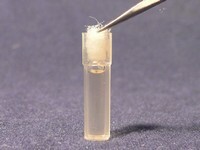 The filler material is typical fiberfill, but it only occupies the portion of the cartridge nearest the atomizer. As many cartridge modders already know, this configuration allows for slightly more liquid capacity and better juice flow to the atomizer. A unique feature is the addition of a bridge that keeps the filler from moving further down the reservoir tube. The mouthpiece on the GotVapes version fits securely into a 510 atomizer. Some of the SmartCarts actually fit a little too tight, making them difficult to remove. The SmartCart adds a little more length (10mm to be exact) than a standard 510 cartridge, but the result is well proportioned. Filling is simple. 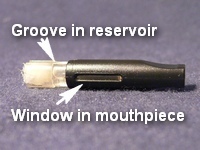 Pull the reservoir out of the mouthpiece, remove the filling, fill the reservoir, replace the filling and insert the reservoir back into the mouthpiece. 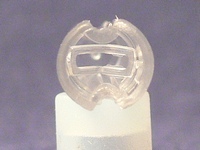 Be careful not to align the grooves in the reservoir with the slots in the mouthpiece. They should be perpendicular to each other. Aligning them will result in a curious airy draw that will make you think your atty just died. Filling can also easily be accomplished by using a syringe with a blunt tipped needle. Simply slide the needle in past the filler and fill. GotVapes, a site that continues to impress, provides a convenient option of adding a syringe and needle to your SmartCart 2.0 order for only $1.85 . Okay, so they look good, fill easy and it hold a little more fluid than a standard cart. But do they work? My results after a week of use have been mixed. The SmartCarts are working exactly 50% of the time for me. The first trial worked perfectly and I emptied several SmartCarts with very satisfactory results. On low resistance atomizers, these are the first cartridges that have ever delivered an acceptable and consistent flow of juice. Not quite as good as dripping but pretty close and perfect for times when dripping was not convenient. 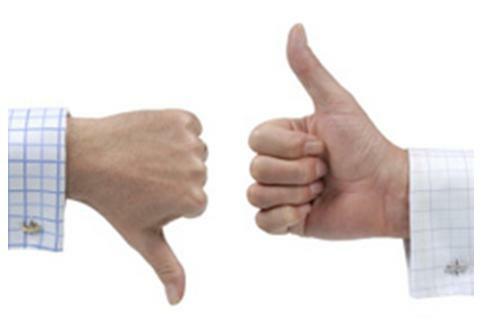 The mixed results surfaced when I put a SmartCart on the second of two atomizers that I had in rotation. It’s an identical Joye LR atomizer and in rotation for about the same amount of time. On this atty, the SmartCart didn’t deliver nearly enough juice and I got a dry atty burnt taste almost immediately. After fooling around with the filler and positioning to no avail, I put the cartridge back on the original atomizer and it worked perfectly. I don’t have a complete explanation other than there is something different about that atomizer. Like any cartridge, the advantage to using the SmartCart is the convenience of being able to carry multiple filled cartridges easily. The .9ml capacity means that a few of these could get an average vaper through the day. 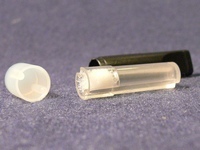 The cap fits securely on the reservoir and it’s possible to carry a single mouthpiece and multiple reservoirs to further ease identifying which are filled. For $1 a piece, these are worth a try for any vaper using cartridges even occasionally. They are quite an improvement over the standard cartridge and well worth the modest investment. Unlike some other larger cartridge systems available, they fit perfectly onto any existing 510 atomizer, making upgrades to that component unnecessary. They may not be the perfect liquid delivery solution, but they are probably the best 510 cartridge available.